Have you recently watched an ad that makes you laugh and cry at the same time? One that makes you say ‘Give me this one minute of my life back!’? Then when it gets aired again and again, you automatically change the channel because it is so unbearable? We feel you. Pakistani television industry has come a long way. From dramas to talk shows to advertisements, everything has increased in quantity and quality. However, quality doesn’t seem like the top requirement for advertisements running on the TV nowadays. In fact, from the looks of it, any advert that manages to catch the attention of the audience is deemed capable of performing the mission of its existence. They may as well have thrown that last hint of sanity bordering on reality away. One of these ads is the Harpic (toilet cleaner) commercial. If you are already making a face or laughing as you read this, we will assume that you have had the misfortune to witness the height of absurdity that this ad goes to in order to get the message across. First of all, do they really think that the Pakistani housewives get so bored at home that they would open their doors to strangers in blue caps and automatically gasp in excitement? Okay they might if it is Faisal Qureshi but let’s be honest here. A sane woman would be a tad bit less eager to invite a man inside her house who is trying to lick his nose. Yes, you heard that right. He is trying to lick his nose. Then, he asks her to try it too. Instead of being convinced that he escaped from a mental asylum, the woman obliges his outrageous request. Then when both of them have successfully managed to look like monkeys from the zoo, Faisal tells the reason behind this ridiculous exercise. If you are thinking it makes the viewer think ‘Oh okay that makes sense’ you are wrong. It leaves you feeling even more incredulous than before. Apparently, your nose is synonymous to the places in your toilet that other toilet cleaners (synonymous to your tongue) cannot possibly reach. If that doesn’t disgust you, we don’t know what will. Then after expounding on the qualities of the new Harpic Power Plus, which reached the U-bend of the toilet faster than your tongue could ever reach your nose, he uses it on her toilet to impress the woman. Isn’t that completely fascinating? Not. By that time, the viewer is heaving a sigh of relief because the torment would finally be over. However, the overly excited housewife doesn’t think you have suffered enough. She keeps trying to lick her nose with her tongue while Faisal takes his leave. You almost expect her to ask for a banana. Instead, she exerts all her energy into forcefully completing Faisal’s sentence to take up the Harpic challenge. That ends the commercial. We agree that a toilet cleaner commercial might not have a lot of creative ideas to choose from but how is this any better than running a finger through the toilet bowl and making a ‘squeaky clean’ sound? Trying to lick your nose is considered a pretty lame act by itself but being prepared to do it on television? That speaks wonders for the advertising agency and the actors hired to play the parts. Then comparing it with the toilet cleaner not being able to reach certain parts of the toilet? Are they serious? Not only is that extremely gross but also completely crazy. No man or woman with some iota of self-respect would be prepared to take up this ‘challenge’ of trying to lick their noses. But maybe that’s just us. Maybe Pakistanis are so desperate to be seen on television that they put their self-respect in a box and lock it up. Faisal Qureshi certainly has. So ladies and gentlemen, we hope you get the message that they are trying to get across. If you cannot touch your noses with your tongues, Harpic is the best thing to clean your toilet. We don’t know what happens if you can. Maybe you get a free supply of Harpic? Or maybe you get to make a fool of yourself on screen? Who knows? You would have to take that up with the advertising agency that came up with the genius advert gracing our TV screens. 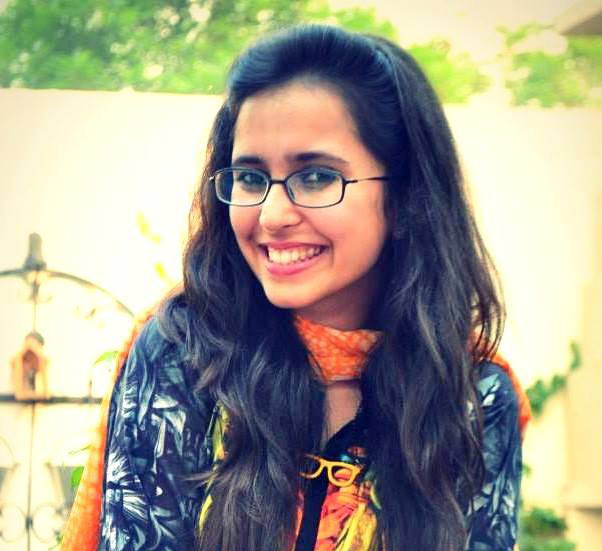 Laraib is a fresh graduate who loves reading, writing and doing humanitarian work. She works as a content specialist at Wordsmith and is also the managing editor for the renowned page ‘Humans of Pakistan’. She has all the makings of a Wordsmith because she believes in the magic of words, their power to influence, inspire and bring about change.